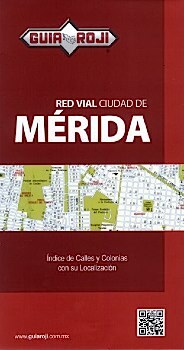 Detailed street map of greater Merida. Scale 1:21,000. An inset map of the city center is also included. The map is printed on both sides. Index booklet is included with an index of the streets and colonias. 2nd ed.